After registration for a demo, by default you got only one rate corresponding to a “Classic” service type. In this article you can learn how to add, rename, suspend or delete a rate. It describes configuration of the service for pre- and ASAP orders as well. 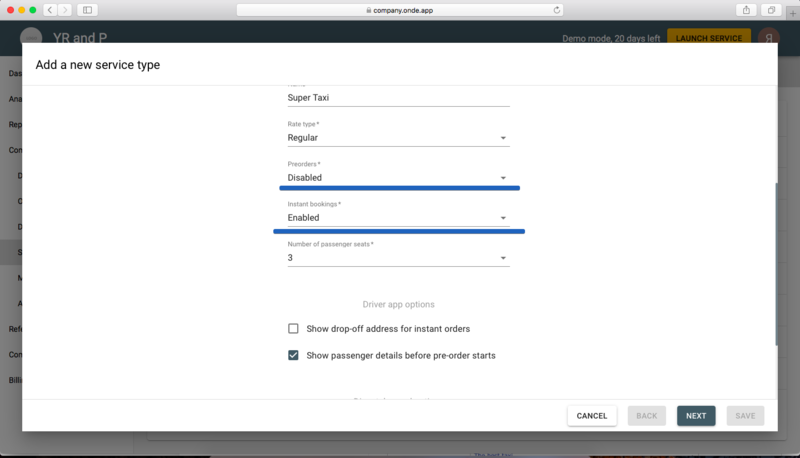 In order to add a new service type you need to follow company panel >> Service types >> Add service type >> choose appropriate service type and rate. Once you set all details and options you need to save the rate. Note that you can only select the class that you have a rate configured for. 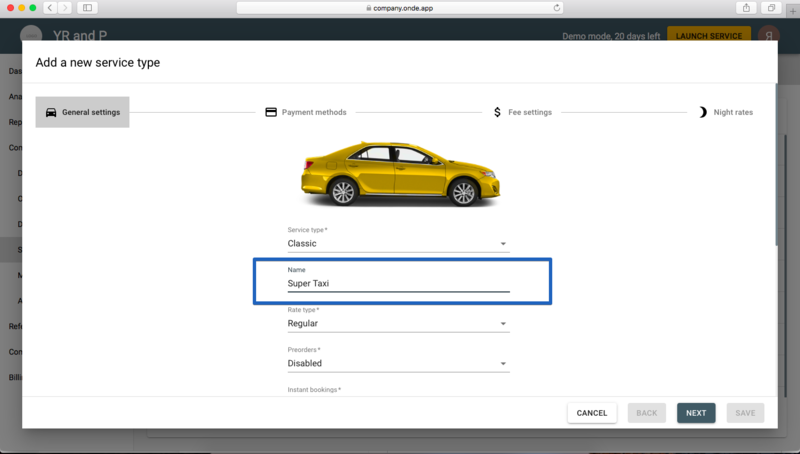 That is done to prevent you from setting vehicle classes with no rate configured. You can name your rates according to the actual services you provide. Choose a service type with an image which corresponds to your rate and change the name. Your passenger app clients will see the name you set up. 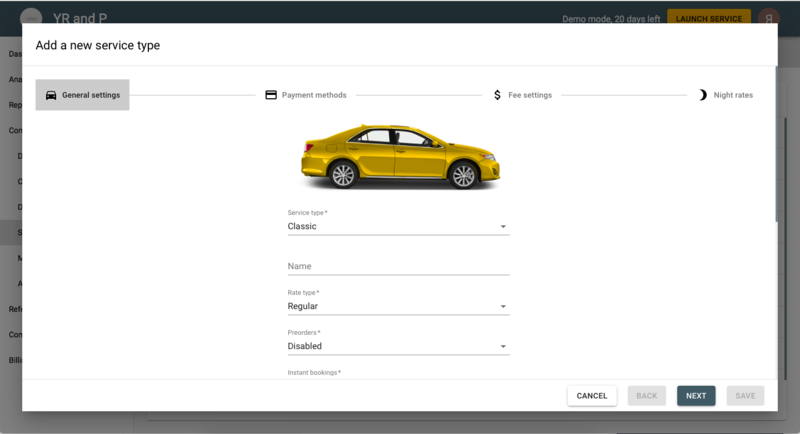 You can configure whether a service is available for pre-booking and (or) ASAP booking. New ASAP order goes to the closest driver according to the intelligent queue algorithm. You can choose whether pre-orders will be sent to the drivers immediately or 2 hours in advance of the ride. The system offers pre-orders to all drivers. If you need to delete a rate from your company panel, first of all you should change vehicle class of its drivers. Until at least one driver is working on this rate, it won’t be possible to delete it. Once everything is ready, click three dots in the right part of the line with needed service type >> “Delete” and confirm the change.